A federal judge in Seattle has ordered Microsoft CEO Steve Ballmer to testify in a class action lawsuit against Microsoft that alleges the company misled consumers in a marketing campaign for its Windows Vista operating system in which computers sold with an older Microsoft OS were labeled 'Vista Capable' when in fact they could only run a basic version of Vista. 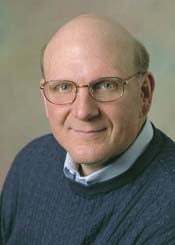 Ballmer has unique personal knowledge of facts surrounding the case, therefore he must face questioning, Judge Marsha Pechman of the U.S. District Court for the Western District of Washington at Seattle ruled, according to court documents released late Friday. Lawyers for the plaintiffs will have no more than three hours to take a deposition from Ballmer at the time and place of his convenience, the documents said. The deposition must take place within 30 days of the order. The case against Microsoft was launched early last year. The plaintiffs allege that most computers labeled 'Vista Capable' in the marketing campaign, which began in early 2006, cannot run or run poorly Vista Premium, the version of Vista with the most popular features. Microsoft had sought to exclude Ballmer from questioning, saying he was not involved in operational discussions around the 'Vista Capable' program, the court documents say. Microsoft had offered up then co-president Jim Allchin and then-senior vice president Will Poole instead of Ballmer, saying the two had superior knowledge of the program. The plaintiffs won the argument to question Ballmer by pointing out conversations between Ballmer and Intel CEO Paul Otellini in which the two discussed possible changes in the Vista Capable requirements.